Obligatory disclaimer: Grass Roots Farmer’s Coop sent me their meat for free in exchange for this review. I don’t do many blogs in which I cook – as I like to say, I enjoy it more when I get to appreciate someone else’s artistry on my plate. But I am occasionally offered chances for product reviews, and when the right company comes along, I’m willing to go that extra mile for a cooking blog. 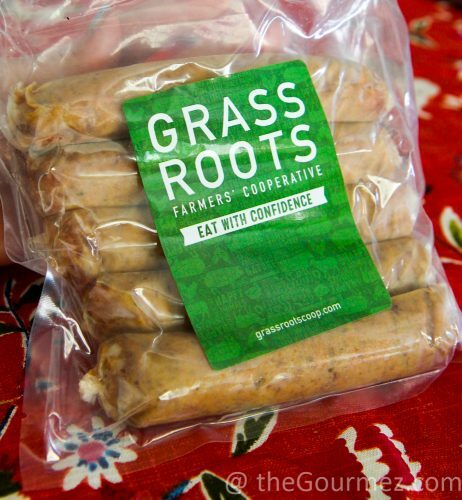 Grass Roots Farmers’ Coop sounded like a good fit for me, as I’m always looking for more ways to purchase meat that is humanely raised and butchered. I am not, by any means, well-versed in animal husbandry, but Grass Roots Farmers’ Coop is dedicated to making sure their animals are pasture raised in environments that mimic their natural ones and are never given hormones or antibiotics. It is an alliance of eleven small farms located in Arkansas. Yes, that’s him playing with the leftover dry ice sent in their foam coolers to keep the product freshly frozen. Grass Roots Farmers’ Coop offers many different cuts of beef, lamb, pork, and poultry, and I was able to try a LOT of them to prepare for this review. Altogether, they would have cost me about $60 and contributed to 6-8 meals for my household of 2. I picked a couple food items I hadn’t cooked with before, including that pound of jowl bacon. it’s definitely fattier than regular bacon, which the Coop also sells, but I found it crisped up quite nicely whether microwaved or baked. 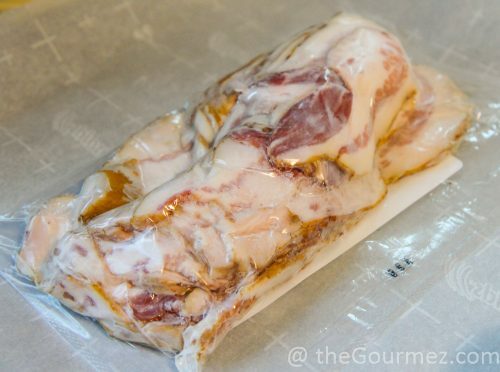 It’s convenient if you want crumbled bacon for a recipe. 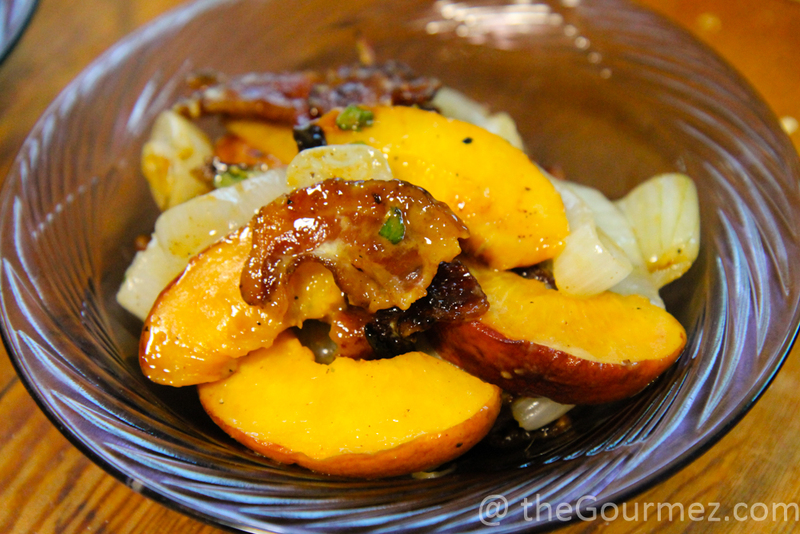 –the jowl bacon was perfect for candying with a little spice kick. 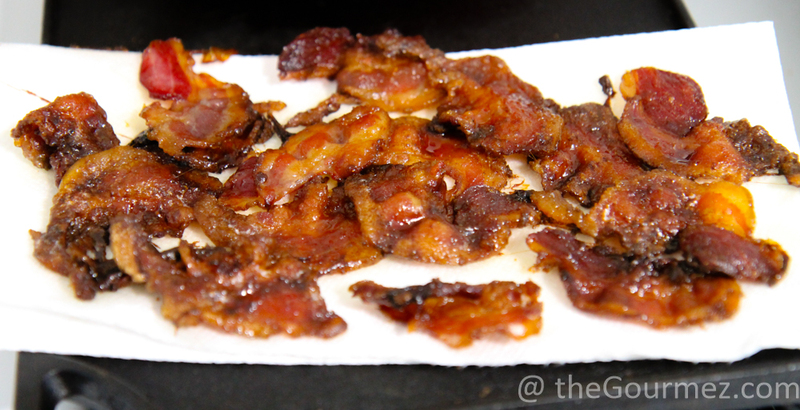 I recommend buying it, but don’t expect the same length or meatiness that you would get from regular bacon. 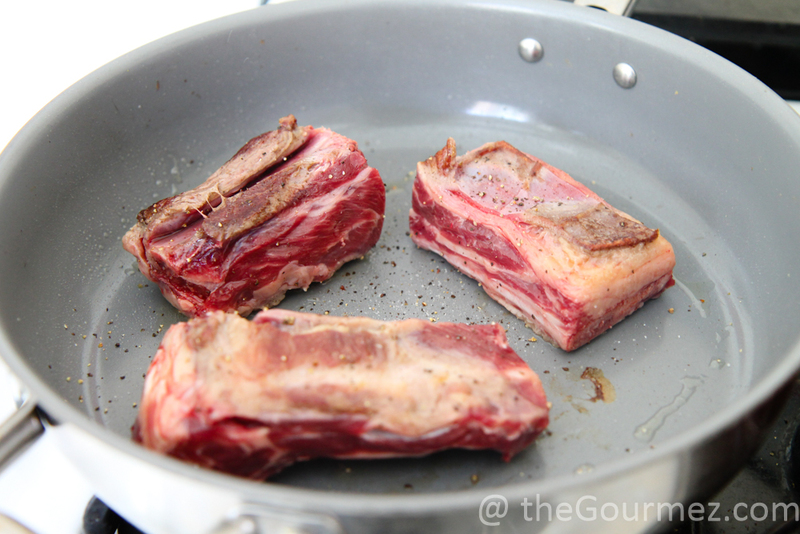 Another new cooking item for me was the pound and a half of beef short ribs. They certainly looked great being seared, but it was hard getting them evenly cooked with three very different sizes of rib and more fat on the bones than I used to handling. 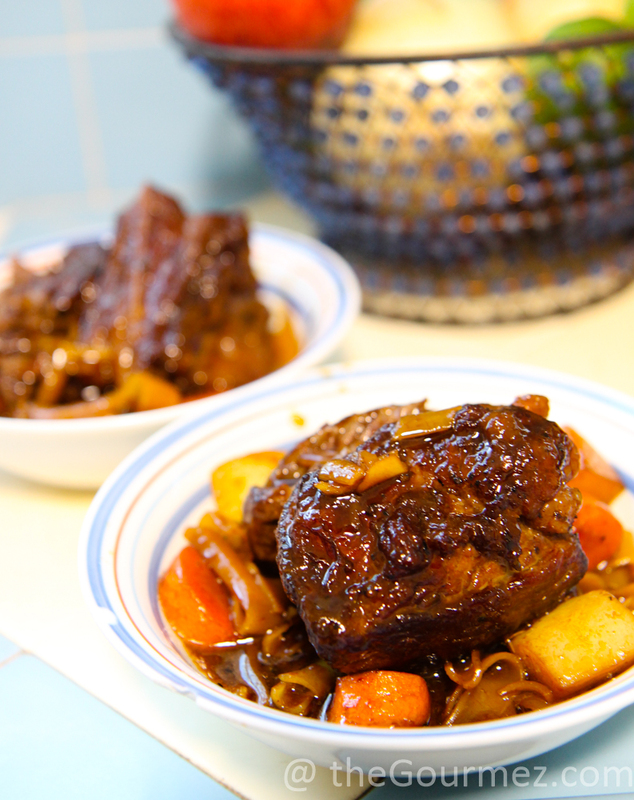 The smallest rib fared best in the end, providing that falling-off-the-bone tenderness after braising in a Korean-inspired glaze and being served over glass noodles. 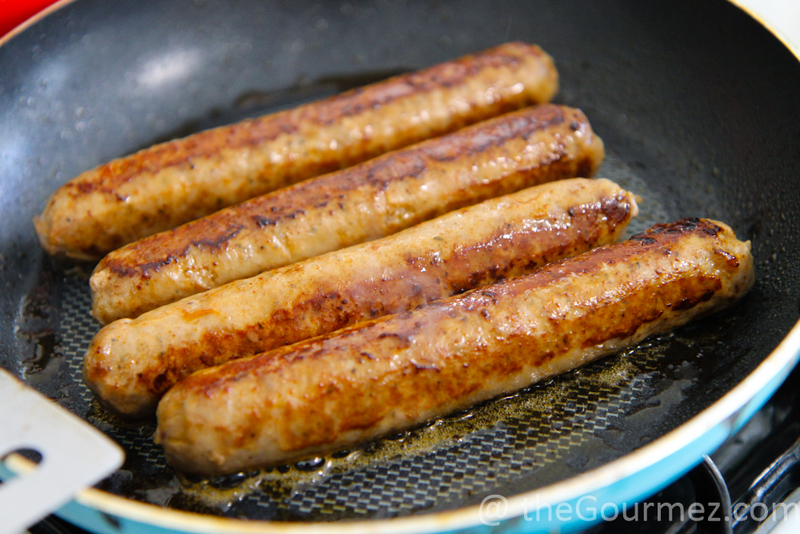 I went for a trusty old standby recipe to try out the mesquite-lime kielbasa-style sausages. 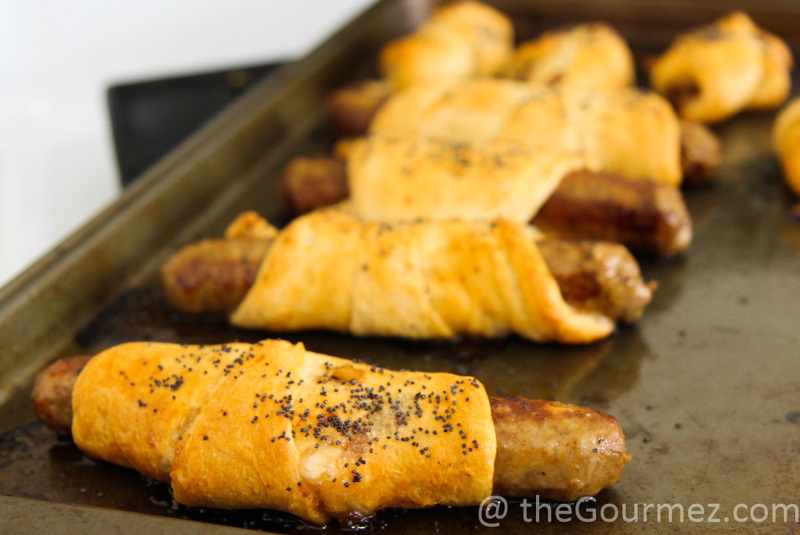 …I had some very tasty pigs in a blanket! The meat’s flavor was great, though I’m not sure I tasted much lime in the mix. But that wasn’t necessary for all the richness this simple dinner provided. 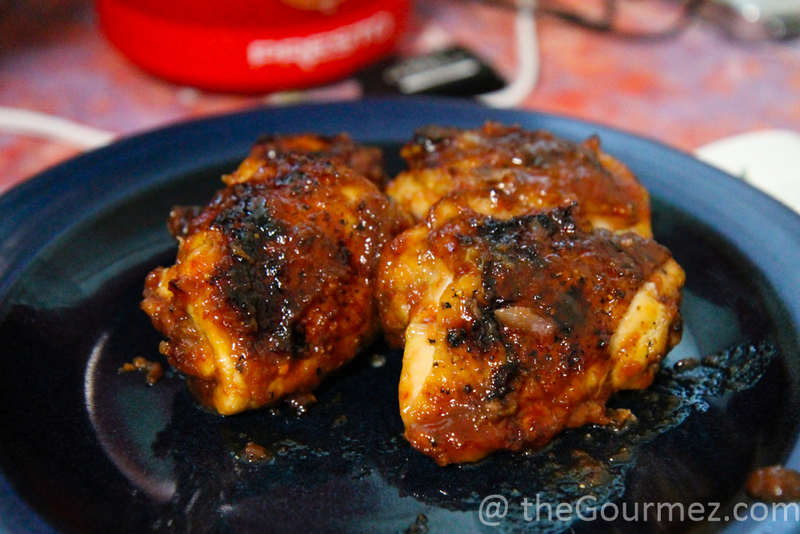 Next, I cooked up three pounds of chicken thighs, on and off the bone, in a few different saucy wing preparations. The boneless chicken yielded around six pieces, with plenty of meat for each bite. 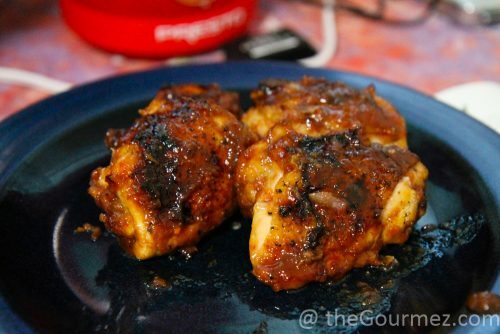 While the bone-in thighs gave me four large pieces, which took very well to the spicy cherry glaze I tossed them in after baking. 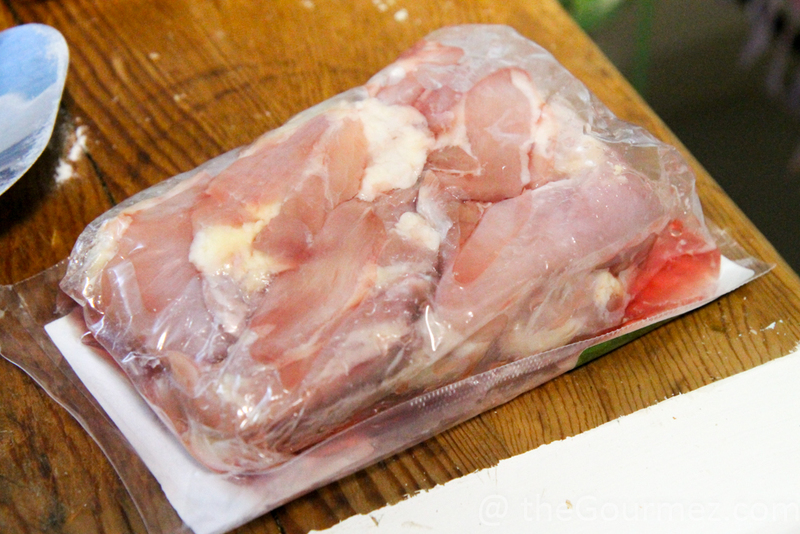 As you can see, we had plenty of great meals courtesy of our Grass Roots Farmers’ Coop meat delivery! Apart from the short ribs, I wouldn’t hesitate to buy any of these products again, and that may have more to do with my newbie experience cooking short ribs than the beef itself. The best value for purchasing Grass Roots Farmers’ Coop meat is to sign up for one of their monthly membership boxes, which are $85 each. They offer a great many combinations of meat to fit in those boxes, including whole birds and ground beef and lamb — members can change the type they want at any time. Members also get a 20% discount on a la carte items added to their order – the price I quoted for my meat earlier does not reflect that discount. Great news! As of August 2017, Grass Roots Farmers’ Coop customers do not need to sign up for a monthly order of predetermined meat cuts – they can pick their own! The order will duplicate each month unless customers’ change what they’d like — and shipping is free everywhere but Zone 4 on their shipping map! But don’t count on getting the same cuts that I did; what is available changes depending on what the farmers can provide. For instance, the mesquite-lime sausages are not currently in the store, though there are bratwurst and maple breakfast ones. Whatever you decide, I’m confident recommending Grass Roots Farmers’ Coop as a purveyor of quality meats raised humanely and healthily, which is a boon for your conscious and your health. Meat cooked up 6-22 June 2016.